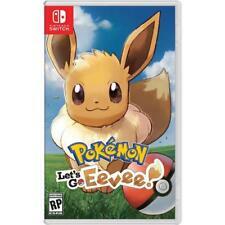 Nintendo Switch Pokemon: Let's Go, Pikachu! BRAND NEW Sealed . Condition is Brand New. Shipped with USPS First Class Package. This is a remake of my favorite childhood game, pokemon yellow. It lives up to that.